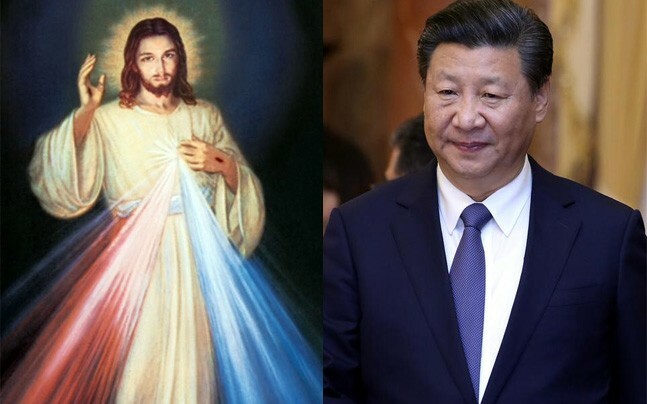 (TibetanReview.net, Nov15, 2017) – China has vowed to make ending poverty by 2020 a top priority and a part of that campaign, at least in the case of one county, involves requiring believers in Christianity to replace the portraits of Jesus Christ that form the centrepieces of their homes with pictures of President Xi Jinping, according to ascmp.com report Nov 14. This government poverty-relief programme in Yugan County of Jiangxi province seeks to “transform believers in religion into believers in the party”. The practice hearkens back to the era of personality cult around late chairman Mao Zedong, whose portraits were once ubiquitous in Chinese homes, the report noted. The report cited official data as showing that more than 11 per cent of the county’s one million residents lived below the country’s official poverty line, with nearly 10 per cent of its population being Christian. And as the local government redoubled its efforts to alleviate poverty, many believers had been told to take down the images of Jesus, the crosses and the gospel couplets that form the centrepieces of their homes, and hang portraits of Xi in their places, the report said. The report cited a local social media account as saying that in Yugan’s Huangjinbu township, home to about 5,000 to 6,000 Christian families, party cadres “melted the hard ice in their [Christians’] hearts” and “transformed them from believing in religion to believing in the party”. The report noted that in Yugan, the officially atheist party was competing for influence with Christianity, which had spread rapidly in both poor rural villages and prosperous cities since the end of the Cultural Revolution more than 40 years ago. The report cited some estimates as saying Christians in China now outnumbered the 90 million members of the party. The report cited Qi Yan, chairman of the Huangjinbu people’s congress and the person in charge of the township’s poverty-relief drive, as saying people “should no longer rely on Jesus, but on the party for help”. The report said cadres in Huangjinbu township had visited poor Christian families to promote the party’s poverty-relief policies and, as a result, more than 600 villagers “voluntarily” got rid of the religious texts and paintings they had in their homes, and replaced them with 453 portraits of Xi. Scmp.com said that while the social media report about this development had disappeared on Nov13 afternoon, the campaign was confirmed by villagers and local officials contacted by the Hong Kong-based newspaper South China Morning Post. What is more, the report cited Qi as saying the campaign had been running across the county since March. The report also cited a resident of another township in Yugan, surnamed Liu, as saying that in recent months many of his fellow villagers had been told to remove religious artefacts from their homes. “They didn’t want to take them down. But there is no way out. If they don’t agree to do so, they won’t be given their quota from the poverty-relief fund,” he was quoted as saying. The report noted that under Xi, the party had tightened its grip on religious freedom throughout the country, ranging from removing crosses on Christian churches in eastern China to suppressing Islamic practices in the Uygur heartland of Xinjiang in the name of fighting terrorism and separatism. In Tibetan regions the campaign has taken the form of party cadres taking over the management of monasteries and giving monks and nuns welfare payments and health insurance.